I’ve spent this week in Lilongwe, Malawi’s capital. It’s a bustling, chaotic place and every time I drive my beat up hire car, it feels like some video game dodging bikes, trucks, donkeys, bikes, goats, a disabled guy lying in the street, bikes, potholes, dogs, bikes, taxis and people. And did I mention the bikes! 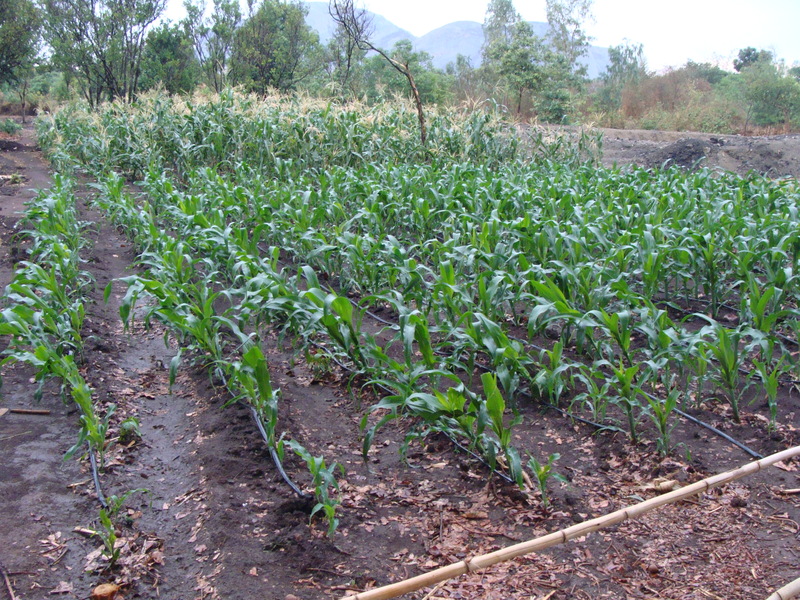 On Tuesday I headed out of town to Bunda Agricultural University to see a wonderful gadget called Futurepump. This solar powered miracle can irrigate half an acre of land – enough to feed a few families even when climate change has done its worst. It was so ironic that on the way there we had to slow to walking pace because of rain which is the heaviest I have ever seen. Sheet lightening and dark skies made the whole scene really eerie and when we finally got to the university I found the staff and students literally singing in the rain (and dancing to). Rain means that stuff grows. When stuff grows, people get to eat. The university is trialling Futurepump and we are keen to see what they can do and whether they have a part to play in our irrigation plans. Futurepump are UK based, the pumps are made in India and they have over 1,000 in use in Kenya. 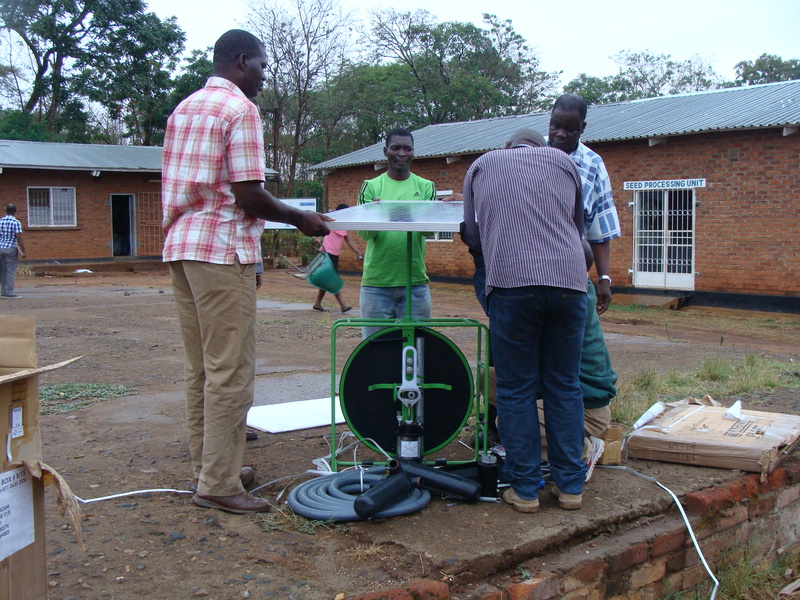 Thanks to a donation from Perth Kinoull Rotary Club, we are buying one for our own trials: Futurepump are looking for a Malawi dealer and supplier so watch this space….